I wish I could tell you this is the rare Brazilian dead-eyed reindeer ant. But it's not. It's a regular dead ant with a parasitic fungus growing out of its head. The fungus, in the genus Ophiocordyceps, didn't wait until the ant was dead to make a home inside its body. In fact, the fungus was the killer. When the ant was first infected with the fungus, it broke from its usual behaviors and climbed up to a high leaf. Then it clamped its jaws down, anchoring its body to the leaf, and died. Now in an advantageous spot for reproduction, the fungus sprouted a long, spore-bearing structure from the ant's head that will shower spores onto new ant prey below. Parasitic fungi--even mind-controlling parasitic fungi--are nothing new to science. There are around 140 species in the Ophiocordyceps genus alone. 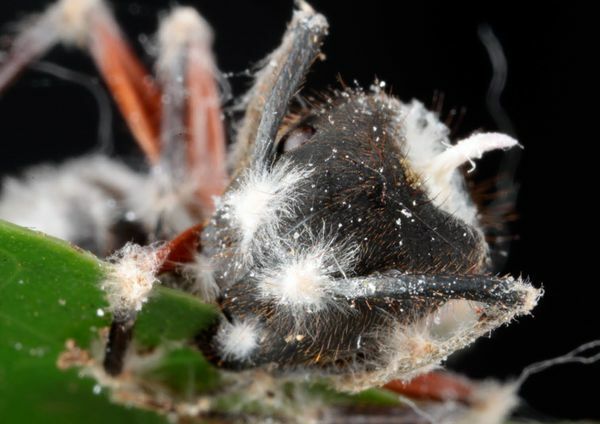 What's new is that Penn State entomologist David Hughes and colleagues took a closer look at one species, Ophiocordyceps unilateralis, and discovered that it's actually, um, four species. 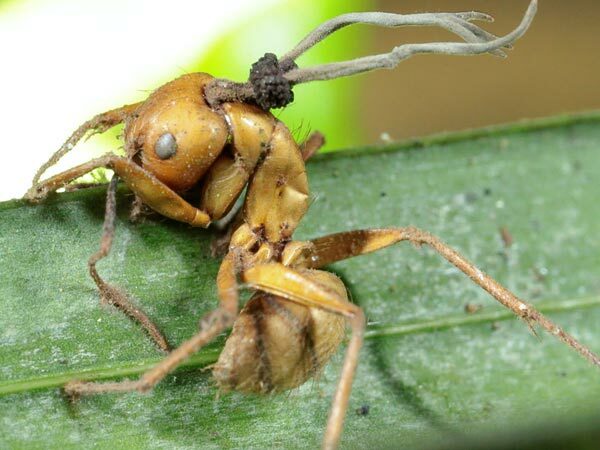 In the Brazilian rainforest, researchers collected infected carpenter ants (easily spotted by the filaments bursting out of their joints or stalks emerging from their heads). On close inspection, they found that O. unilateralis could be divided into four clear subtypes with different appearances. They gave each type a new species name, and intend to study the fungal DNA to confirm the differences they found. Since the four species showed up in different species of carpenter ants, Hughes writes, "It is tantalizing to speculate that each species...may be attacked by a distinct species of Ophiocordyceps." 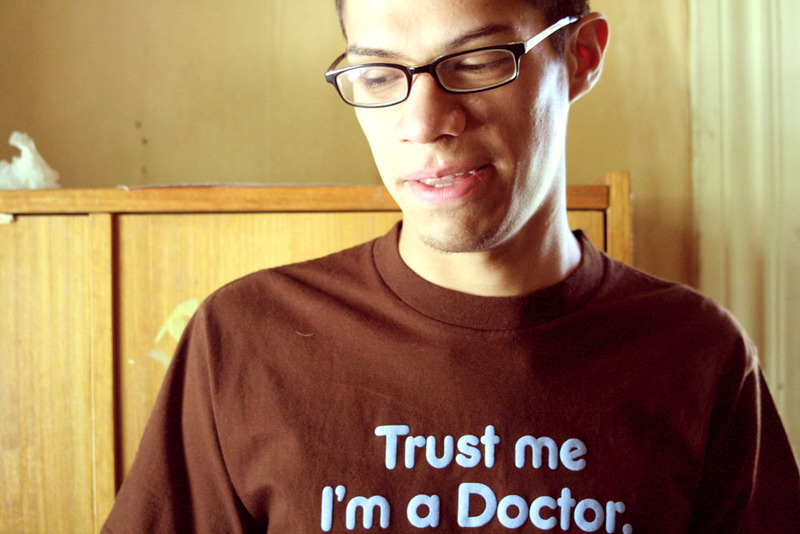 More research will be needed to show whether that's really true. As for the mind-controlling fungi that attack wasps, flies, and other insects, are they equally specialized? How many insect species have a dedicated parasitic-fungus species? There may be a whole world of fungi out there that have evolved in parallel to the insect world: an entire tree of life dedicated to getting inside other life-forms' heads. That should give you something to think about. Just don't get the idea to climb up to a high branch and bite down. For a second there I thought the jack-a-lope had an evolutionary cousin in that ant. This seems straight out of a Sci-Fi novel... Its cliche' but reality is stranger than fiction... cool blog post!